So far in our series on storycatching, we’ve focused on working with narrators with whom you are working with face to face. And certainly when asking permission, getting prepared, or conducting the interview itself, working with someone who is within easy driving distance makes things easier. But sometimes when you do a personal history project, you won’t have the time or money to travel to your narrator’s hometown, or to visit other contributors. And health or other considerations may make it imperative that the interviews be conducted right away, so you can keep your project moving toward completion. One of the more challenging aspects of working across the miles is that often, you’ll be asking your narrator to cooperate with you in conducting the interview via some sort of digital technology. 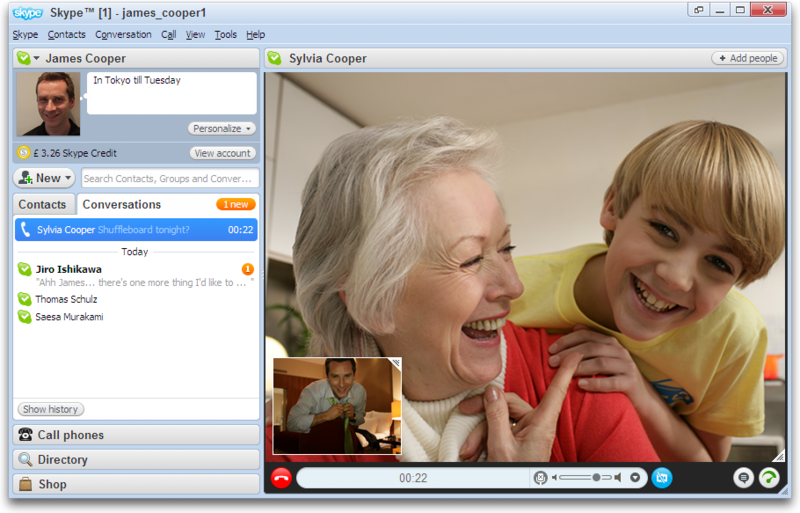 It can be difficult to work with an elderly person (or a person of any age, really) who isn’t tech-savvy to do a Skype interview, but if time is of the essence, you could look into enlisting an on-site “helper” whom you trust to handle the technology and help the narrator get ready. They can also help you determine when the narrator is tired, hesitant, or reluctant to talk about something, since nonverbals are harder to read correctly at a distance. If technology is becoming your primary stumbling block, and the “buddy plan” won’t work, reconsider your format options. Do you, your narrator or your family absolutely have your heart set on a video? If not, could you interview them by phone and take notes, or use a digital audio recorder while putting them on speakerphone. That set up will not give you high-quality audio, but it will give you good enough material to write up a text version of your conversation, which is a powerful, and extremely durable, format. Once you feel as if you’ve got the technology set up ready, test it with friends, co-workers, anyone other than your narrator. It’s best to not stress out your interviewee with technical issues, especially ones related to your level of competency with the distance recording equipment. Things can and will pop up on your recording day, but if you’ve been through the set-up process a number of times, it’s likely they won’t fall in the “which button do I push?” category. Sometimes, it’s not recording or interviewing your narrator that’s the distance challenge – it’s working with others on the project and sharing text files, photos, or media like video and audio files. You can use a host of free or low-cost tools that are at the right scale to work on this type of project. – Google Drive – one of my favorites. It’s super easy to share documents and files with people, and I also appreciate the ability to work on projects on my mobile devices (especially my smartphone). – Dropbox/Box.com – These cloud storage solutions let you transfer media like photos, videos, and audio files easily, and in bulk quantities (no more emailing 3 photos at a time to each other or whatever). This is especially helpful if you have relatives scanning photos out of their old photo albums and sending them to you for a presentation. – Freedcamp – If you have enough people working on a family history project, sometimes it’s not storage or sharing that is the issue – it’s having a coherent way to coordinate the entire thing! This app is a totally free way to do project management, such as assigning tasks, tracking how long it is taking, expenses, etc. This software is totally free and fairly robust, but the free version (you can purchase upgrades) is limited to 200 MB in file uploads. – Podio – Another program with a free version that is good for small teams (it allow up to 5 users per project) working on a project. I mention the file sharing options because in this day and age it is simply NOT necessary to mail priceless, irreplaceable originals back and forth, or to clog emails with large digital scans. The tools make it much easier to manage a sprawling multimedia project, particularly if you’re working with several helpers and you don’t all live in the same town. And the project management interfaces can help show who’s doing what in a more organized way than just mailing out a “to do” list. Have you ever tried to interview a family member for a personal history project at a distance? What were your results? What has been the hardest part of collaborating on a family history with relatives who live out of town?